ONE of the disadvantages of General Sir Ian Hamilton's speedy appointment and dispatch to the Dardanelles was that he had to leave, and soon after start planning the operation, without several of his senior staff. Hamilton's administrative staff had only arrived in Alexandria, Egypt, on April 1, so they were left behind when Hamilton and his General Staff - the senior officers responsible for military planning - left for Lemnos three days later. As a result, the generals in charge of personnel, supplies, transport and medical services were still in Egypt while the landing plans were being drawn, and they did not arrive in Lemnos until April 18 - just three days before the landings were initially projected to take place. In particular, Surgeon-General William Birrell arrived to find the scheme for the clearing of the wounded had been drafted by an officer of the General Staff, and the original plan allowed for no more than 3000 casualties from the entire army - including the British at Cape Helles. The original planning document also allowed for one hospital ship with each landing force for the serious cases, and a few transports for the lightly wounded. Official war historian Charles Bean notes in an April 14 order sent to Anzac commander General William Birdwood by the Staff of General Headquarters (GHQ), the provisions for his whole Anzac force was to be one hospital ship, the Gascon, for 300 seriously wounded men, plus just one transport boat to be chosen by Birdwood for the lightly wounded. But as Bean pointed out, the treatment and evacuation of wounded men should not have fallen under Birdwood's responsibility. "The responsibility for collecting the wounded lay with the chief medical officer of the division, while the medical officers of the army evacuated them to the base," he wrote. "Birdwood had no authority to concern himself with this matter." 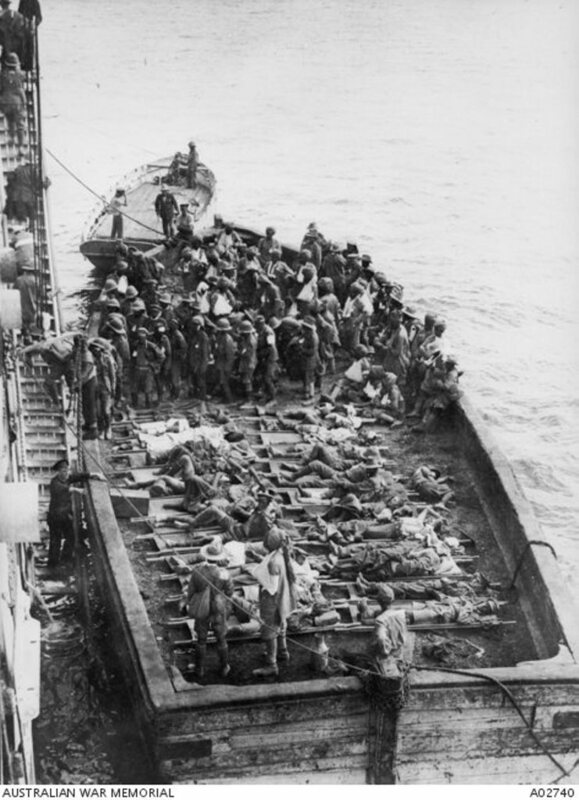 The arrangements for collecting wounded on the shore would rest with Australian and New Zealand colonels and chief medical officers Neville Howse and Neville Manders, while the evacuation of the wounded from the beaches was the responsibility of GHQ and the navy. And while it was not Howse's duty to recommend provision of transports or hospital ships, the highly respected Australian surgeon realised the arrangements were inadequate and lobbied headquarters to improve them. 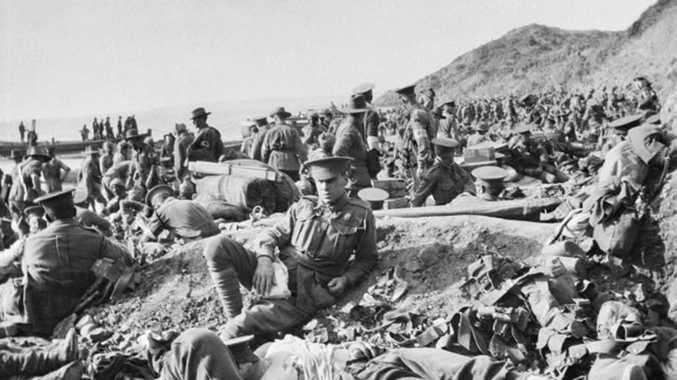 When Surgeon-General Birrell arrived on Lemnos and immediately realised the impending disaster, he formulated a new plan that would allow for four transports to carry up to 400 seriously wounded Anzacs and up to 1000 lightly wounded ones. 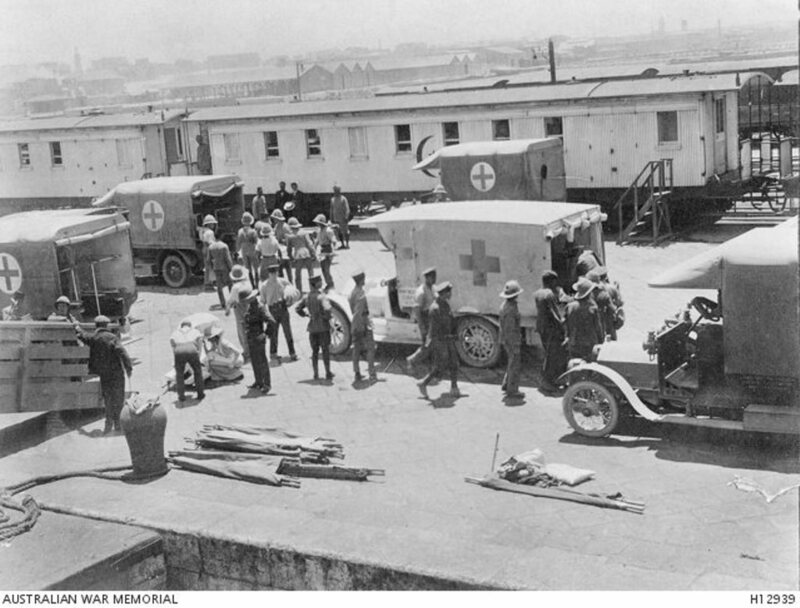 Birrell also decided the the surgeons, staff and equipment should be provided by the 2nd Australian Stationary Hospital and a British Stationary Hospital, but these were in Egypt. They were hurriedly summoned, but there was no guarantee they would arrive in time for the landings. The new plans would lift the provisions to cater for up to 2400 seriously wounded and 7300 lightly wounded troops, a significant improvement on the original estimates. In the end, the weather would mean the landings were postponed to April 25. But although that gave them a few extra days, it could not repair the damage of leaving such crucial casualty planning to the last minute and to the wrong people in the first instance. Bean would later write: "On April 25th and the days following it, scenes of appalling suffering were directly due to the inadequacy of the medical arrangements." IT'S not difficult to see why the hospital transports, ships and medical staff would have been overwhelmed in the first few days after the Gallipoli landings. As the sun went down on April 25, the Anzac casualty list would number about 2000, and after five days of battle there would be 860 dead. It was a similar story for the British at Cape Helles, where the Turkish defences were better prepared. The British estimated their casualties at 2000 for the morning of April 25 alone.